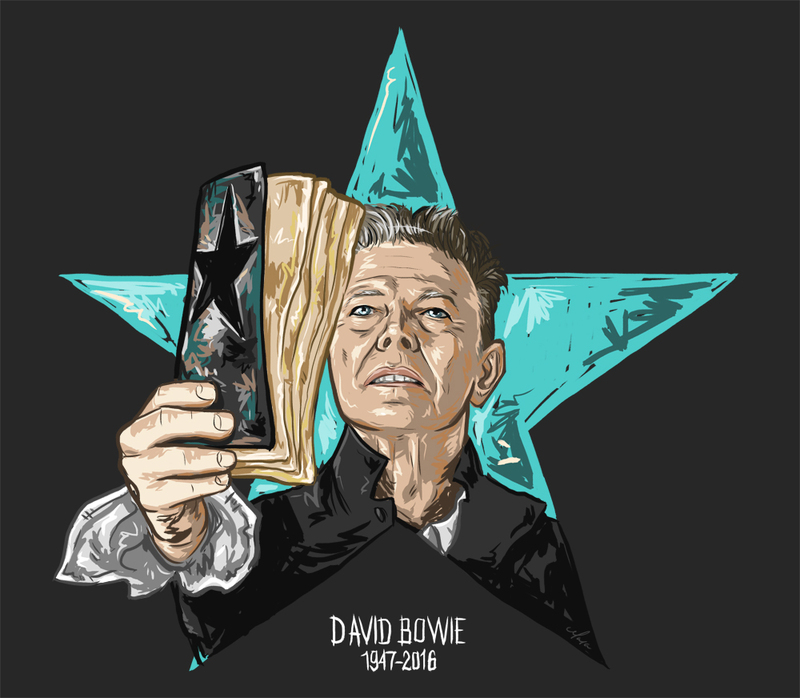 This illustration is a humble tribute to David Bowie, cosmic genius, singer, musician, visionary, inspiring character. I’m sad to see him go so early but I’m grateful for the music, videos and music he created and shared throughout his life. His latest album was especially inspiring to me, as was his appearance in the 80s cult-classic Labyrinth. Rest in peace, Mr Bowie. You like this illustration? You can get it printed on a T-Shirt.